Looking for a fun party game? 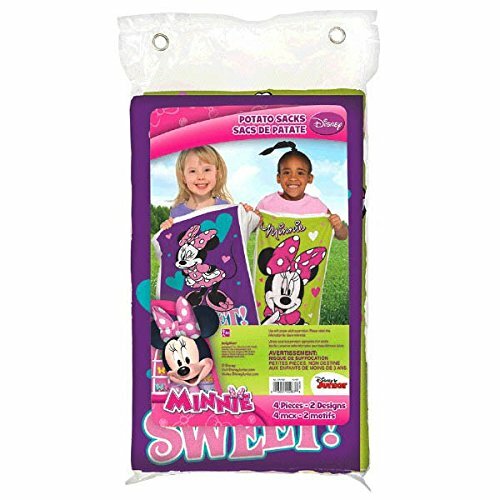 Hop to it with our Minnie Mouse Potato Sack Race Bags! Guaranteed fun for everybody young and old. Come in purple and green and feature two different designs with Minnie and colorful hearts all over. With these durable synthetic fabric sacks, you can get a game of potato sack race going in minutes that's fun for kids of all ages. Each measuring 37 7/10" x 23 1/3"
Booboolala Kid's Party Supply Set! 192 Piece Set of (24) Colorful Foam Dinosaur Masks - (24) dinosaur Stampers & (144) Cute Dinosaur Tattoos. Great for Party Activities, Loot Bags.